LOve that colour combo Em and the mini striplet dies are fabulous!! 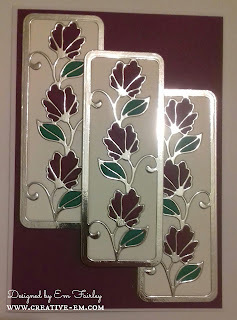 Love the rich colors you used in your inlaid die technique! So happy to have you join us over no the Cropstop blog link up -- I hope I'll see more of your creativity in the gallery soon!! 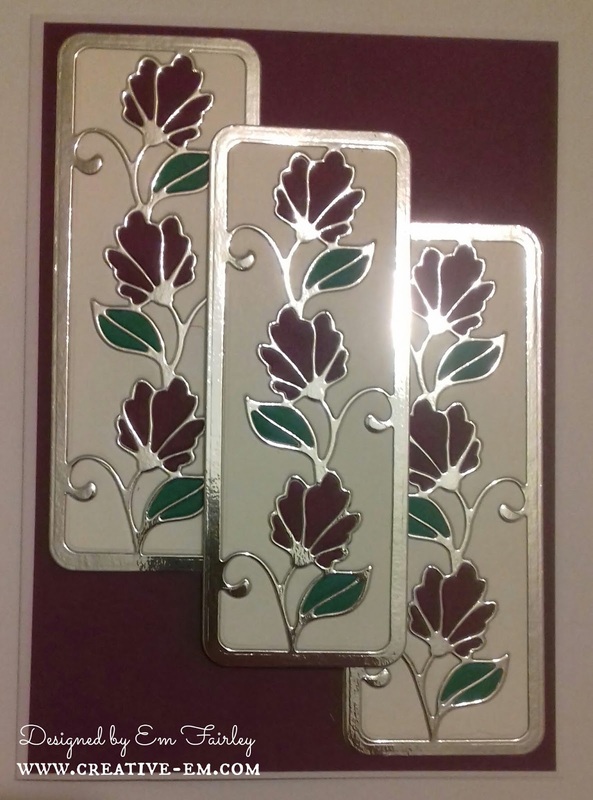 Love the way you've used the design with these pretty inlaid striplets. The silver framing really makes this look so much like stained glass. The rich colors are gorgeous! TFS & thanks for your recent visit and encouragement with Win10. I'll get there eventually...not sure about the blogger aggravation though! THat is beginning to seem hopeless! Have a great weekend. Gorgeous card Em - and it really does look like stained glass! Love it. Beautiful. The flash of silver is a stroke perfection. I agree it looks like stained glass.